The dense cover crop mat acts as a contact barrier between fruit and soil, minimizing fruit defects and splash disseminated diseases that affect marketing. We share lessons learned during our four years of experience using the roller crimper. Armed with this knowledge, decide if Roller Crimper use fits into your operation. 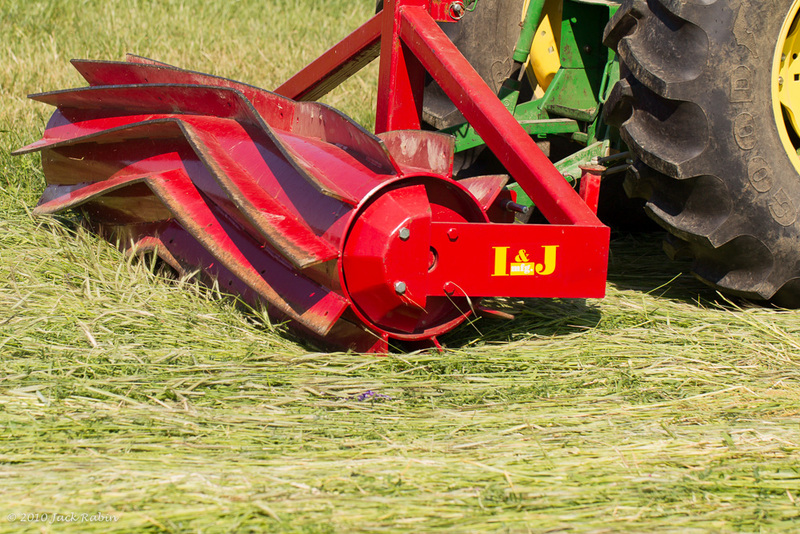 Roller Crimper tips, tricks, and traps from four years of experiences in our fields to help you avoid costly mistakes and enjoy success on your farm. Download the grower troubleshooting guide. 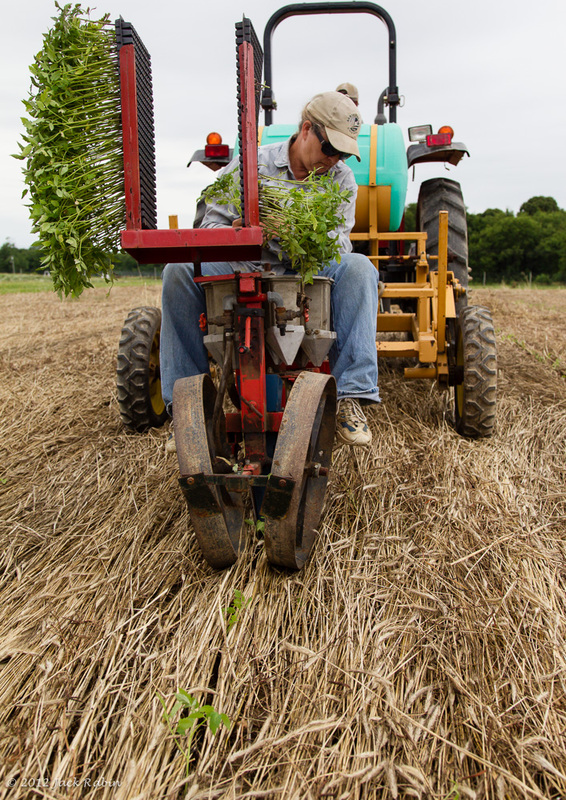 We get some surprising results when we put roller crimper no-till up against bare ground processing tomato production. The competitive yields and high fruit quality seen with roller crimper no-till are also finding use in NJ pumpkin and winter squash fields. 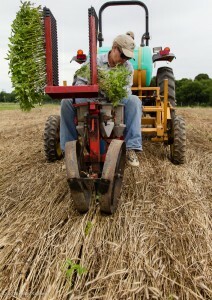 The South Jersey RC & D has Roller Crimpers available to NJ Growers on a loan-out basis. Harrelson, E.R., G.D. Hoyt, J.L. Havlin, and D.W. Monks. 2007. Effect of Winter Cover Crop Residue on No-Till Pumpkin Yield. HortScience 42(7) 1568-1574. Harrelson, E.R., G.D. Hoyt, J.L. Havlin, and D.W. Monks. 2008. 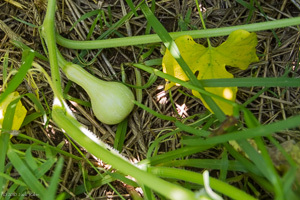 Effect of Planting Date and Nitrogen Fertilization Rates on No-till Pumpkins. HortScience 43(3) 857-861. Curran, W., M. Ryan, and S. Mirsky. 2010. Cover Crop Rollers for Northeastern Grain Production. Penn State University Extension. Mirsky, S.B., et al. 2012. 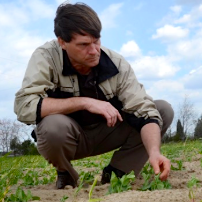 Conservation tillage issues: Cover crop-based organic rotational no-till grain production in the mid-Atlantic region, USA. Renewable Agriculture and Food Systems 27(01) 31-40. Kornecki, T.S., F.J. Arriaga, and A.J. Price. 2012. Roller Type and Operating Speed Effects on Rye Termination Rates, Soil Moisture, and Yield of Sweet Corn in a No-till System. HortScience 47(2) 217-223. 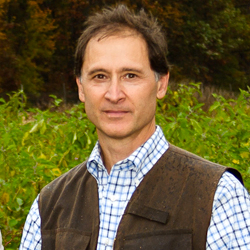 VA – USDA Roller Project Partners. 2007. 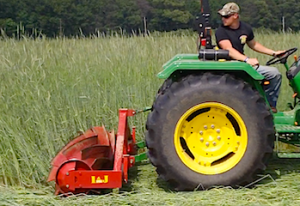 Introduction to Cover Crop Rolling and the VA – USDA Crimper Roller Demonstration Project. Leavitt, M.J., C.C. Sheaffer, D.L. Wyse, and D.L. Allan. 2011. Rolled Winter Rye and Hairy Vetch Cover Crops Lower Weed Density but Reduce Vegetable Yields in No-tillage Organic Production. HortScience 46(3) 387-395. USDA-ARS. 2010. 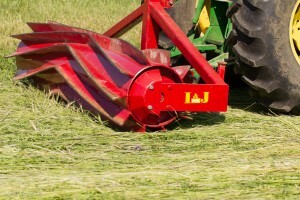 Rolling Rye: Guidelines Help Determine When’s Best. Agricultural Research 56(10) 17.